home builder WordPress websites large and small. 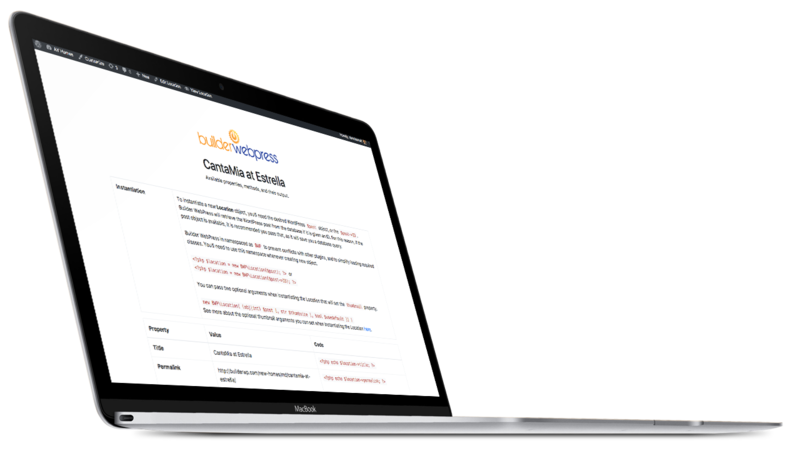 Builder WebPress tailors WordPress to fit home builders like a glove. Activate new communities and plans, change prices, or enter a home for sale with ease. The URLs and page metadata are automatically search engine optimized. And Builder WebPress provides the tools for you to craft the right on-page and alternate text. Accurate “Starting from $299,900” statements have never been easier. Automatic calculation means easier updates, fewer errors, and happier customers. Categorize home elevations, floor plans,and photography. You choose how to display them, in what order, and in whatever size(s) you need. Categorize home elevations, floor plans, and photography. You choose how to display them, in what order, and in whatever size(s) you need. to build highly scalable and maintainable home builder websites. 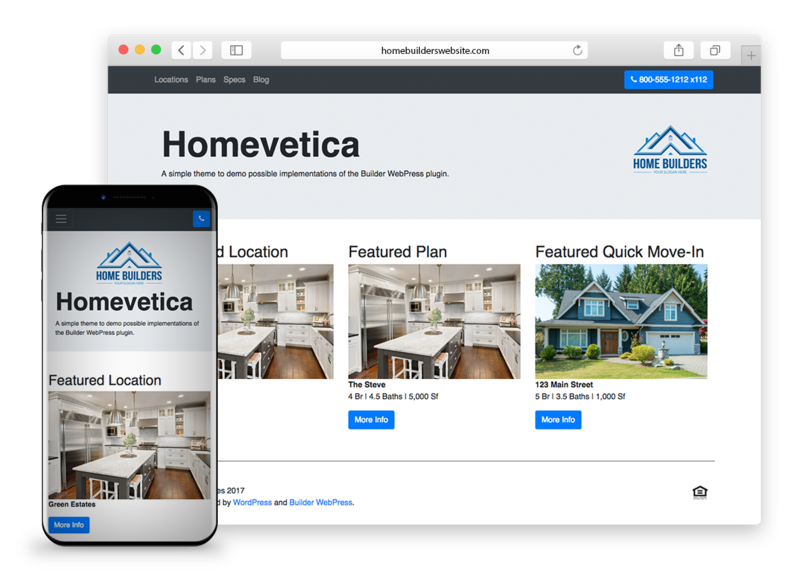 Being connected to the leading home builder marketing solution, Homefiniti, (for free, btw) your listings can easily and instantly be broadcast to millions of consumers searching on websites like Zillow, NewHomes.net, and Move.com. Your Facebook and Twitter shares have never looked better. Open Graph compliant metadata is automatically created for you using your listing content. Other than some permalink structure, Builder WebPress does not impact your theme design at all. Builder WebPress holds the content. You or your web designer can make all the decisions on how to display it. With its connection to Homefiniti, Builder WebPress provides home builders better analytics. It’s not about page views and time-on-site. Homefiniti reports on a builder’s most popular home plans, price range “hotspots,” and other practical market insights. A simple vanilla home builder WordPress theme powered by Builder WebPress. You could use it "out of the box" as your website, but it's best used as a parent theme, or an excellent example of how to implement Builder WebPress's many features. Builder WebPress may just be the best documented plugin ever (that may go a little far, but the documentation is pretty good). The plugin offers a “Debug View” to help understand the variables and methods available in your theme, along with other tips and tricks for implementation. We recommend inspecting the free Homevetica theme for more examples. Requirements: PHP 5.3+ and WordPress 4.9+. The plugin will likely work on many pre-4.9 WordPress versions, but has only been fully tested with 4.9.